From rolling hills and towering pines to babbling streams and a diverse set of native flowers, the Central Virginia region boasts a rich set of natural surroundings. We’re fortunate to call this area home and remain committed to protecting our environment. In fact, many homeowners in our master-planned communities chose them because of the ways we preserve and incorporate natural elements. Green amenities and outdoor living spaces are increasingly popular in the Richmond region and across the country. A recent survey from the American Institute of Architects found that outdoor living topped the list of special-function rooms most popular with American homeowners. When you live in such a beautiful region, who wouldn’t want to spend more time outdoors? We believe it’s how you live that matters and incorporating outdoor living features in your home can transform ordinary spaces into places that create meaningful experiences. So, what are some of the best outdoor living examples in the Richmond region? Here are three communities for your outdoor living inspiration! Holloway provides homeowners with natural retreats throughout the community with beautifully landscaped surroundings, nature trails, a community garden, and coming soon, homeowners will be able to enjoy a clubhouse for events and clubs to gather. The community even features an amazing treehouse, complete with a suspension bridge, climbing wall, and tire swing. With all of these amenities, it’s difficult not to spend more time outdoors. Learn more by visiting our Holloway community. Located in Ashland, Providence has many green features, including over two miles of walking trails and sidewalks that wind through the community and a community park area overlooking a water feature with fountain. Slated to open this summer, the community will also feature an amphitheater and sport court for more outdoor fun. With a pavilion and playgrounds, there is no shortage of outdoor spaces for gathering and recreation. 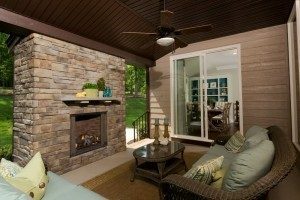 A number of homes also feature fabulous patios and fire pits that are perfect for days or evenings surrounded by friends and neighbors. Learn more by visiting our Providence community. Not far from our Holloway community in Richmond’s West End, Westin Estates is conveniently located near Short Pump. Many of the beautiful custom homes in this community incorporate incredible outdoor living features that seamlessly integrate the comforts of home in natural surroundings. The one+ acre home sites also mean that there are plenty of open green spaces. Learn more by visiting our Westin Estates community. 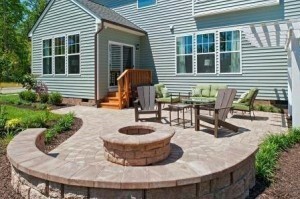 With the warmer weather here to stay, now is the time to explore outdoor living features and amenities! 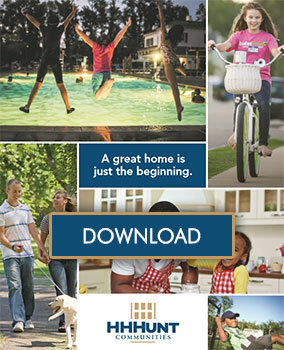 Discover your new home today by visiting our website. We also would love to hear from you. What outdoor living trends are you following? Share your thoughts on our Facebook page!